The nice thing about a parent remarrying is that you get to add a few traditions of their spouse’s to your own holidays. 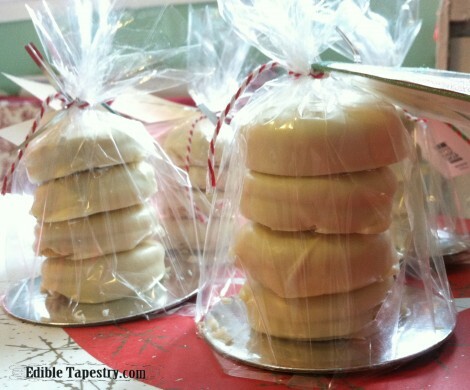 These white chocolate dipped sandwich cookies came with my step mother. Nice bonus. 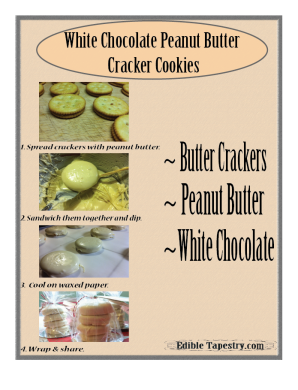 They are easy as pie to make, well easier, and are totally addictive. Betcha can’t eat just one. 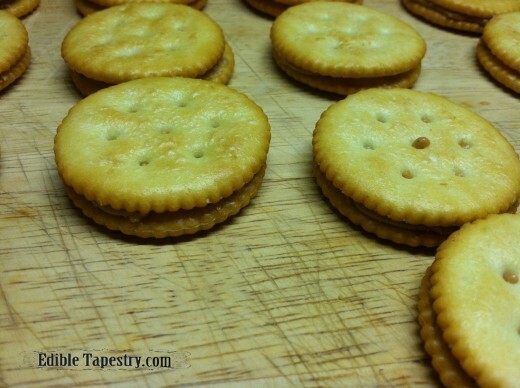 To make them you just spread peanut butter onto Ritz crackers and sandwich them with another. 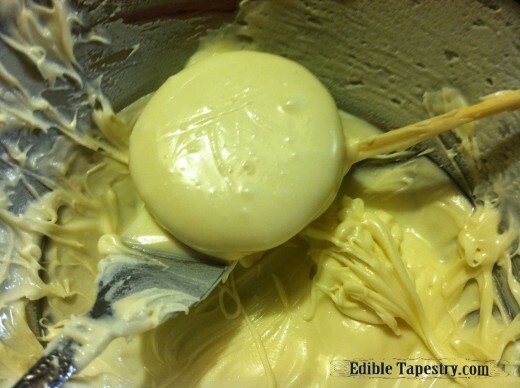 Then you dip them in white chocolate. 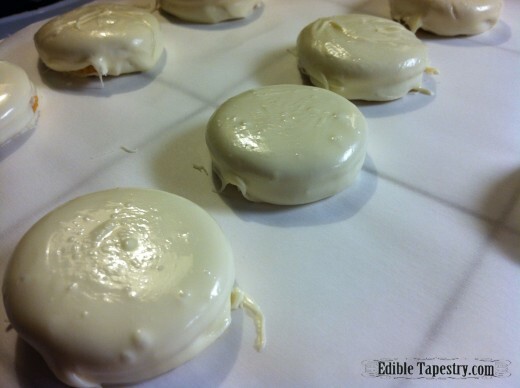 Next, lay them on waxed paper to cool. Package them up and give them away. Trust me, you don’t want these in the house, though they do make great gifts. I used one full 11 oz. bag of Ghirardelli white chocolate chips and about a half cup of creamy peanut butter to make 16 sandwich cookies.